WHITEHORSE, July 22, 2016 – Canada’s Premiers discussed the need for Canada’s health care systems to remain sustainable and to ensure quality health services for all Canadians in the face of challenges such as chronic diseases, pharmaceutical costs, a growing and aging population and the disparities in health outcomes for Aboriginal peoples. 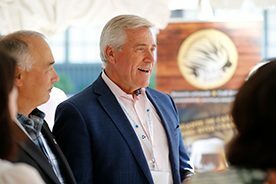 Provinces and territories continue to innovate in order to improve the effectiveness of the health care systems, but the imminent reduction in the Canada Health Transfer (CHT) escalator will put enormous pressure on PT health systems and additional investments are required to maintain sustainability. 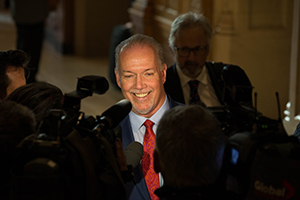 Premiers call on the federal government for an immediate increase in funding through the CHT as part of a greater long-term funding partnership on health care for Canadians. 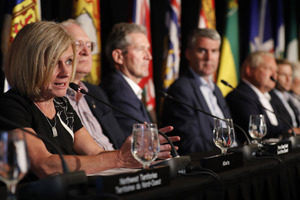 Premiers call for a meeting with the Prime Minister this fall, dedicated to advancing a long-term agreement on health care funding. 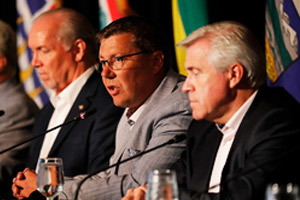 Premiers directed PT Finance Ministers to develop options for increased federal funding through the CHT. 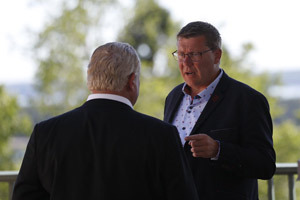 Premiers reiterated the importance that any new future health accord will have to comply with the principle of asymmetrical federalism which allows for the existence of specific agreements for any province or territory, as has been the case for Québec since 2004. Working within the constraints of declining federal share of funding for health care, provinces and territories have found ways through the Health Care Innovation Working Group (HCIWG) to achieve savings while improving quality and patient care. Going forward, the HCIWG will focus on using technology and innovation to improve affordability, predictability and patient care.